Standing desks are nowadays becoming a rising trend. Global market demands for standing desks are estimated to clinch in 2.8 million dollars revenue in the coming seven years. 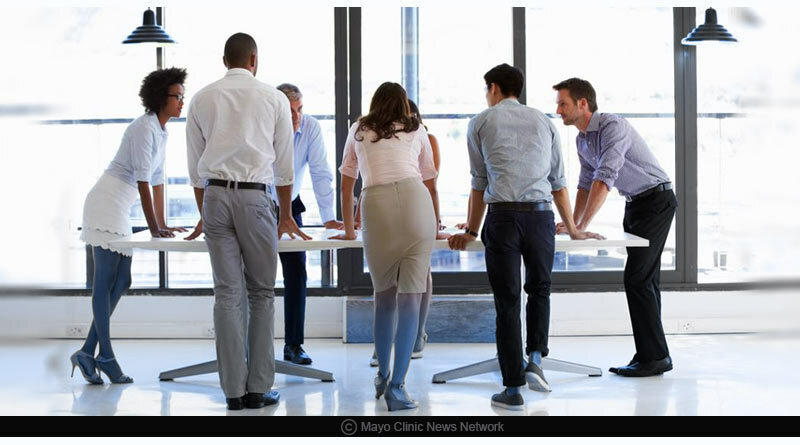 This rise is due to the research highlights that standing more at work help you burn calories. A person on an average tends to lose nearly 100 to 200 calories if he stands continuously for an hour. On the contrary, the sitting posture helps him to shed off only 60 to 130 calories in an hour. While these statistics may not sound to be more significant, it can help the person to maintain his current weight. Further, it helps in reducing certain health-related disorders. The latest research study highlights a study on nearly 50 individuals working with a standing desk. This study marks its presence in the European Journal of Preventive Cardiology. The outputs of this study reveal that standing instead of sitting aids in burning nearly 54 percent more calories. The body possesses the natural ability to burn out more calories when it is in motion. A person in active motion, in turn, activates his muscle mass. This muscle mass contributes towards burning up more calories. Physical exercises do help in burning the unwanted calories. However, essential body functions such as breathing and eating also contribute to the same. Thus bigger and healthier a person tends to be is more able to concentrate on his calorie-burning mechanism. 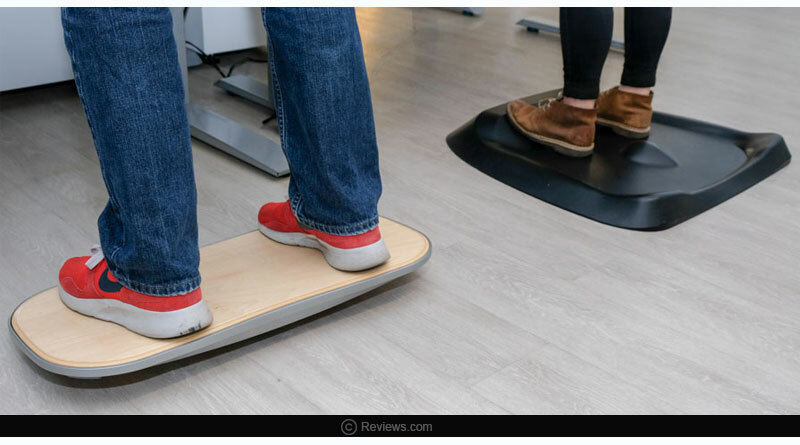 Besides, the benefits of standing more at work can help you burn calories, it also assists you to reduce your risk towards cardiovascular diseases and cancers. Further, it helps in minimizing lordosis. Lordosis is a situation wherein your spine undergoes an inward curvature. Standing for more extended hours helps in toning body muscles. It is essential that you focus on engaging your muscles to maintain you in an upright position while you stand. If you are finding it difficult to stand erect for a considerable time, try placing a sole insert in your shoes. Sole inserts are meant to support your arches. As you add sole inserts, it helps in minimising the fatigue feeling and soreness imparting a cushioning effect. 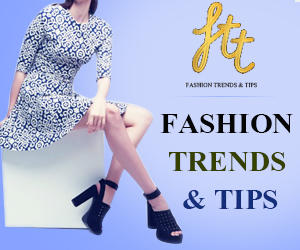 Invest your efforts in buying shoes explicitly meant for comfort. 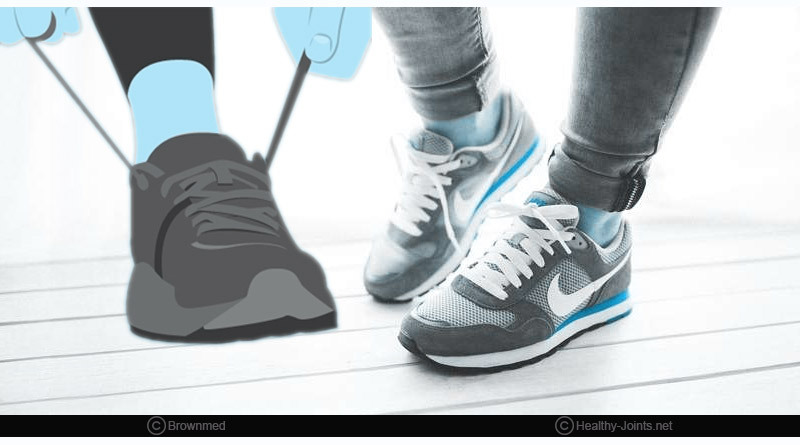 Supporting shoes are designed to impart adequate arch support. Further, it helps with an overall alignment and aids you to balance your entire body. Standing pads or cushions helps in reducing the overall pressure built up over your knees, feet and your back. 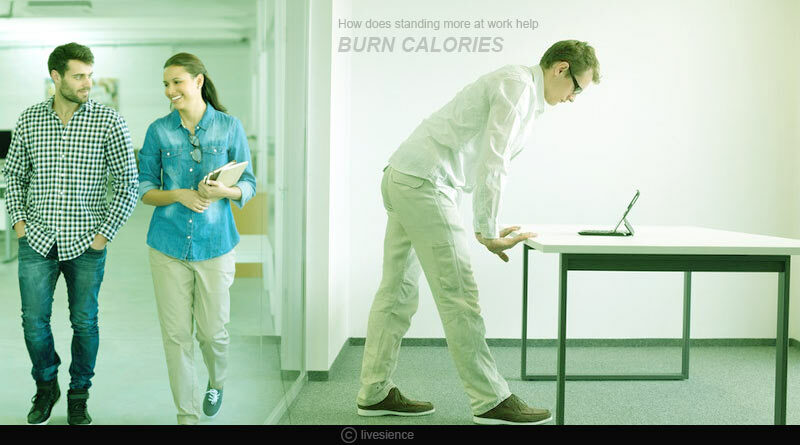 For more details on standing more at work help you burn calories and related updates, like and subscribe to tentaran.com.